Sarianne Durie works with stained glass in the traditional manner, she paints and fires each piece individually adding detail, shading and texture, or colour with enamels. She also uses sandblasting and acid etching. She makes window panels that can be traditional or contemporary, large or small: the ideas may be subtle, bold, commemorative or symbolic. Landscape and the natural world often influence her designs. 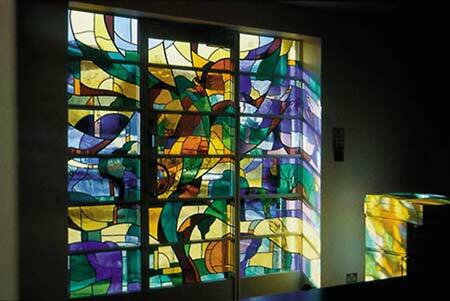 She has been designing and making stained glass for over twenty five years and works to commission.